More than 280 people are believed to have died so far in southern India after an intense bout of flooding this week put highways, streets, homes, and even an airport underwater. 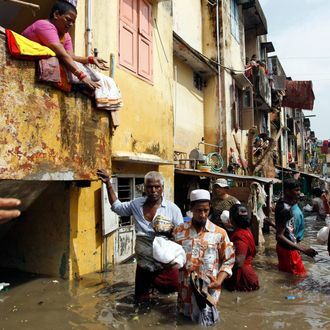 Since the beginning of monsoon season on October 26, the southern city of Chennai, home to more than 9 million people, has been experiencing almost constant precipitation. But this week’s flooding hasn’t been seen for nearly a century and has brought Chennai to a standstill, causing widespread power outages and road closures, Reuters reports. Even the city’s airport was forced to close, as its runways became totally submerged by the floodwaters. On Wednesday alone, the city got more than 350 millimeters, or nearly 14 inches. That’s nearly double the usual amount of precipitation for December, according to CNN. More than 120,000 people were rescued by the Indian armed forces Wednesday and Thursday, and Indian prime minister Narendra Modi said Thursday that he was “pained” by the city’s destruction and promised $290 million in relief funds. Experts blame the destruction not on the record-breaking rain but on the city’s “urban sprawl,” the New York Times reports, explaining that much of the city was built in a flood plain. Last month was the wettest November in more than two decades for the region, and several more days of heavy rain are still predicted for December. 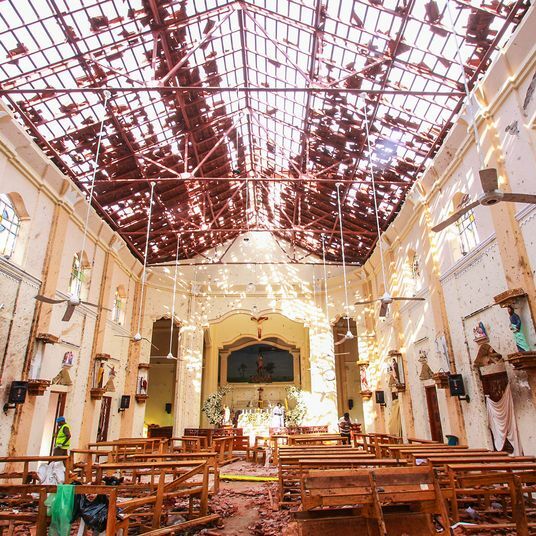 More than 200 people were killed when suicide bombers targeted three Catholic churches during Easter Sunday services, as well as three luxury hotels.